We're family, we're friends, we draw from years of experience in all aspects of Rescue and Emergency Medicine. Most of all, we love teaching- which is why we got into this whole thing from the beginning. Read our stories and meet the crew. John's all over the place. He works as a paramedic on a medevac helicopter, Captain and sailor, and Executive Director for BMG. 10,000 miles by boat last year alone, he's been accessing good surf, skiing, and other fun adventures through one of the 3 boats he calls home: Charlotte the kayak, Lucia, and the Maiden. Not sure if he sleeps often. He's worked as an EMT and Paramedic for 17 years in Santa Cruz, Seattle, Jackson Hole, and Bozeman, MT in a variety of contexts- ambulance to ski patrol to helicopter. John has degrees in Neuroscience and Biochemistry from Montana State University. After growing up exploring the beautiful Northwest, it's not surprising Mike's path led him to Bozeman, MT where his real exploration of the backcountry began. Pursuing a passion, his journey continued to medical school after two years of adventure traveling through the South Pacific and Europe. Mike spent the next chunk of his life skiing the Wasatch and biking the Utah desert while training in Emergency and Wilderness Medicine. He now works as a traveling ER physician currently located in Portlandia, OR and ski doc at Mt. Hood. As an OB/GYN Nurse in NYC, and Salt Lake City’s Regional Hospital, Kate’s an expert with anything pediatric or requiring imminent delivery. Having been busy racking up degrees at University of WA and NYU, Kate now works as an RN in Portland and serves as BMG Operations Manager. Peter should have been born in the Renaissance when a diversity of interests and skills were the norm. If he is not traveling the world, he’s working on his fixer-upper home and property. If he’s not finding some remote backroad or trail to cycle, he’s in his sea kayak. If he’s not studying a new language, he’s working on his photography skills . Peter has been in the fire service for 15 years and, in typical fashion, is a fire captain, paramedic, hazmat specialist, emergency management specialist, and every kind of rescue technician. Peter started as a wildland firefighter and, with a degree in Landscape Architecture, can tell you the botanical name of what’s burning. Sean began his journey into pre-hospital care after being an accident prone teenager who loved riding his bike in the woods. After more than a few trips to the emergency room, he wanted to obtain some training of his own. Fast forward a decade, Sean has had now several years of paramedic experience, including time spent working out of helicopters in the mountain west, ski resort urgent care and 911 ambulances covering urban areas across the USA. Sean loves and enjoys teaching courses with BMG because of the altruistic nature of our students. "They are out there helping a total stranger or perhaps their best friend without a thought of anything in return." His other outdoor passions are endless single track trails by bike, backpacking California's finest outdoor spaces with his wife, powder days on his snowboard, and trail running with his dog named Ollie. Currently, Sean is finishing up a bachelors in nursing. Humbolt beginnings... Growing up in the open spaces of Northern California, Brittany had access to everything outdoors- backpacking, climbing, adventuring, whatever. Fast forward past her collegiate rowing career to her professional life as a firefighter/ paramedic and educator in the Bay Area. Possibly the most likable person in the world, Zak, too, did his residency at University of Utah to sample the fruits of available granite and ski lines. Now a proud father of a beautiful family, and home town hero, Zak works in the ER in his home town of Asheville, North Carolina. Vijay is an emergency medicine physician currently working in a rural ED in Rock Springs, WY. Born in New York, he was lured out West for medical school at the University of Colorado and residency at the University of Utah. Convinced by the marketing propaganda about the "Greatest Snow on Earth" he now calls Salt Lake City his home base for adventures in backcountry skiing, mountain biking, fishing and general desert shenanigans. Having been raised in Idaho where birthdays and holidays were spent exploring backcountry rivers and mountains, it was a natural transition to the mountains and deserts of Utah where Nicholas spent time first in college, and later in medical school, guiding and doing wilderness medical education. Nick brings years of experience and a continued dedication to education. He is currently in residency at UCSF Fresno where his work developing and revising Parkmedic and Paramedic NPS guidelines continues to advance the field of wilderness medicine. His areas of continued academic pursuit and interest are high altitude medicine and hypothermia physiology. As a reformed river rat, Talia has traded in guiding down Class V rapids to working in ER's in the San Francisco Bay Area. In her free time you can find her trail running, surfing, open water swimming, backpacking through the Sierra's, or skiing around the world. Her passion for medicine started by being an accident prone child who was constantly covered in scrapes and piecing herself together with bandaids. Now that her suturing skills have progressed she enjoys applying her medical knowledge to her outdoor pursuits. Having joined BMG over the past year, she is excited for teaching more classes and get students prepared to take bigger adventures. Physicians Assistant, Divemaster, world traveler, surfer, photographer, and talented, experienced educator. Coryn has spent the last several years working in the ER at various hospitals in San Francisco, Santa Cruz and Oakland, when not traveling around the world on a whim. Growing up in the foothills of northern California, Matt grew up kayaking, snowboarding, and generally enjoying the mountains. 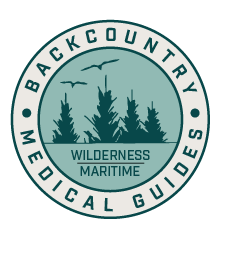 Wilderness medicine blends his two passions of being in nature and practicing medicine. Working for EMS the last 6 years, he is currently finishing his undergraduate degree in integrative physiology and neurobiology at NC state university in Raleigh, NC. Born and raised in Colorado, Kylie grew up as a competitive mogul skier, but after a fair share of knee injuries has learned to love the beauty of a perfect powder day. She recently graduated from the University of Denver with a degree in Biology and is currently living in Denver attending Medical School at the University of Colorado, and working in the Emergency Department as an EMT. She loves empowering other people to get outside, find adventure, and be safe along the way. BMG office, world cruiser, and charter/ fundraising vessel. 1977 Alajuela 38.